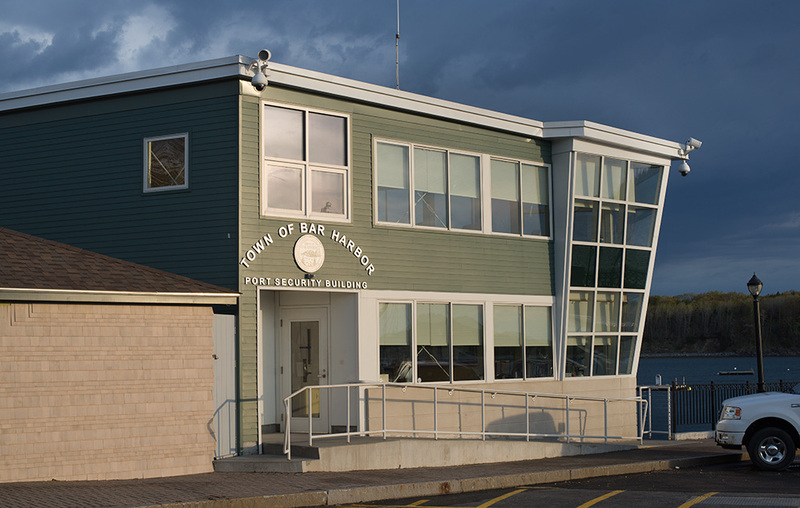 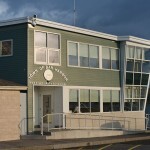 The Bar Harbor Port Security Building, located on Bar Harbor Municipal Pier is a continuation of town owned buildings including fully accessible public restrooms and a public dock. 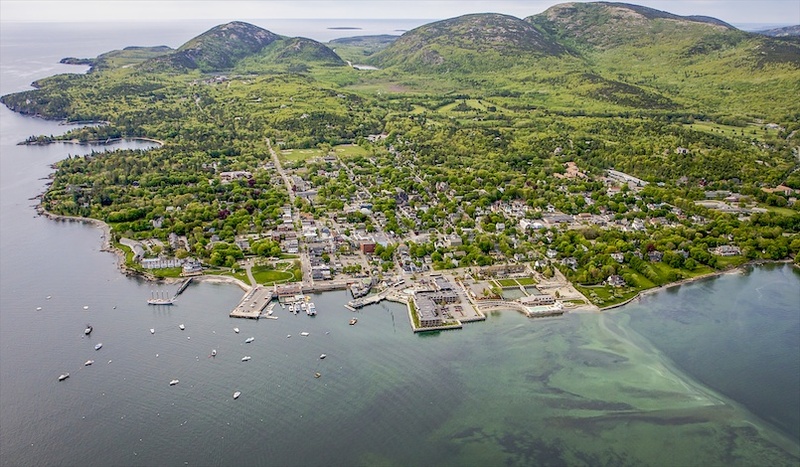 The location provides panoramic views of Frenchman’s Bay and is a Class A Port of Entry. 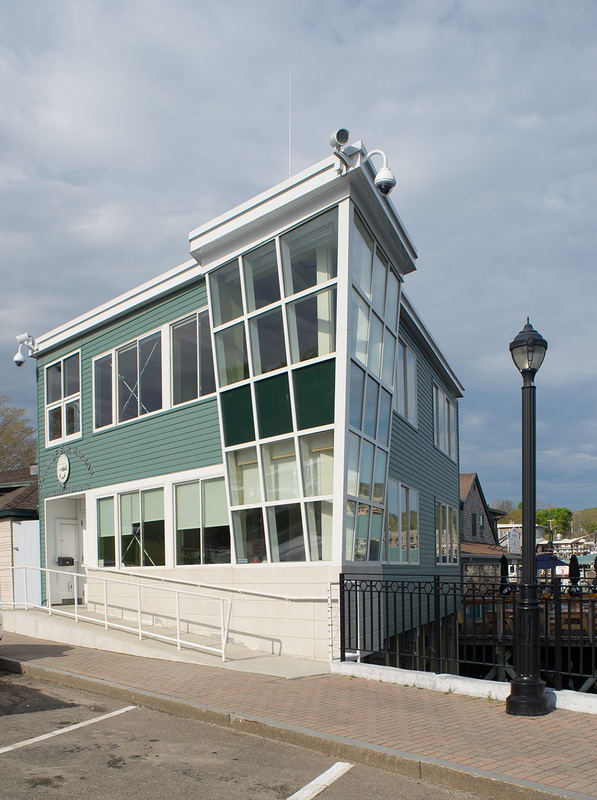 This project provides a harbormaster’s office, a visitor reception area, a workroom, a small conference room and, an office for visiting customs officials/police. 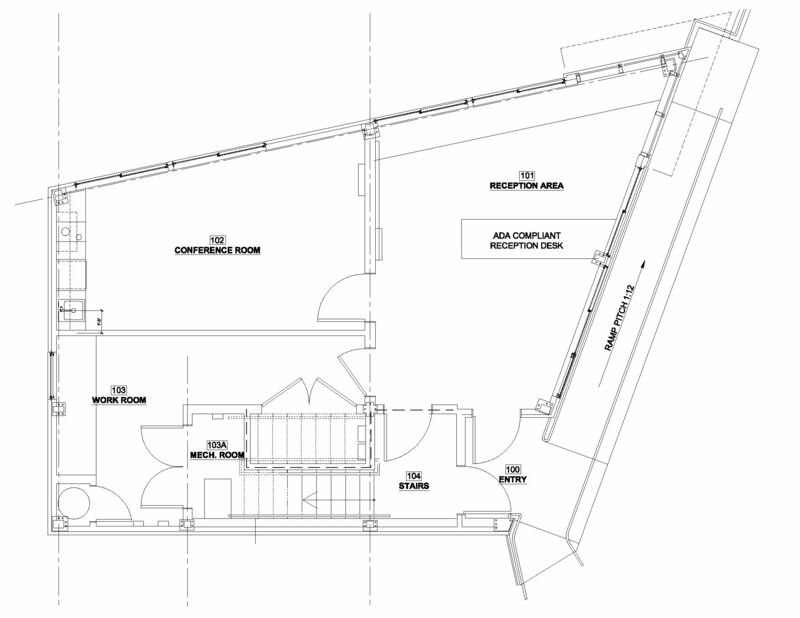 Sustainable design strategies include; a unique Variable Refrigerant Flow (VRF) heating and cooling system; high insulation values at the elevated suspended slab and exterior walls and; easy to maintain materials. 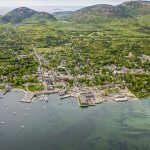 The VRF system draws heat from Frenchman’s Bay through a keel cooler heat exchanger located in the salt water. 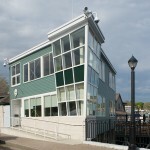 The structure bears on a pier system anchored to ledge and the building is two feet above the pier level to meet FEMA flood plain regulations. 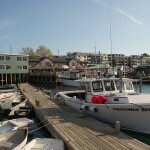 As a result the building floats above the water, while windows along the north and east sides allow full view of the dock and harbor. 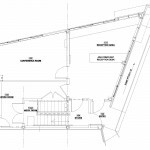 Universal access to vital port services, combined with FEMA requirements, produces a ramp entrance that integrates the design by making an architectural gesture of movement and energy. 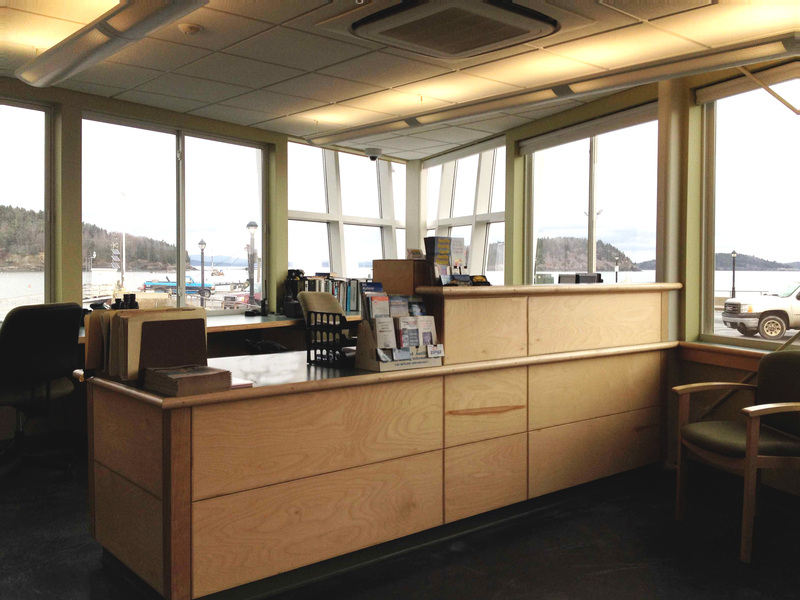 The visitor reception area, desk, and harbormaster staff work stations are fully accessible. 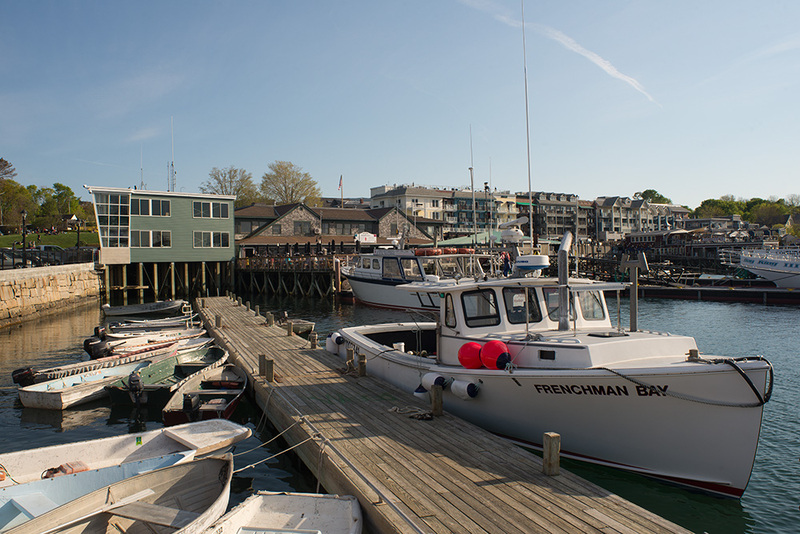 The building ramp allows minimal interference with the highly trafficked sidewalk as harbormaster staff use the ramp to quickly access the dock. 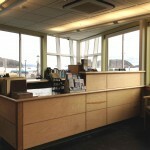 The welcoming entrance not only plays an important role in the operations of the pier facility, but provides comfortable access to the building.